Hospitalization was a serious problem during the American Revolutionary War. Plans were made quite early to care for the wounded and sick, but they were meager and inadequate. On April 11, 1777 Dr. William Shippen Jr. of Philadelphia was chosen Director General of all the military hospitals for the army, and undertook numerous improvements and renovations. Four hospital districts were created: Easter, Northern, Southern and Middle. The wage scale was as follows: Director General's pay $6.00 a day and 9 rations; District Deputy Director $5.00 a day and 6 rations; Senior Surgeon $4.00 a day and 6 rations; Junior Surgeon $2.00 and 4 rations; Surgeon mate $1.00 and 2 rations. After the battle of Brandywine, September 11, 1777, hospitals were established at Bethlehem, Allentown, Easton and Ephrata. After the battle of Germantown, October 4, 1777, emergency hospitals were organized at Evansburg, Trappe, Falkner Swamp and Skippack. Hospitals at Litiz and Reading were also continued. By December 1777, new hospitals were opened at Rheimstown, Warwick and Shaeferstown. Yellow Springs (now Chester Springs) an important hospital was organized under the direction of Dr. Samuel Kennedy. At Lionville, Uwchlan Quaker Meeting House was also made a hospital for a time. 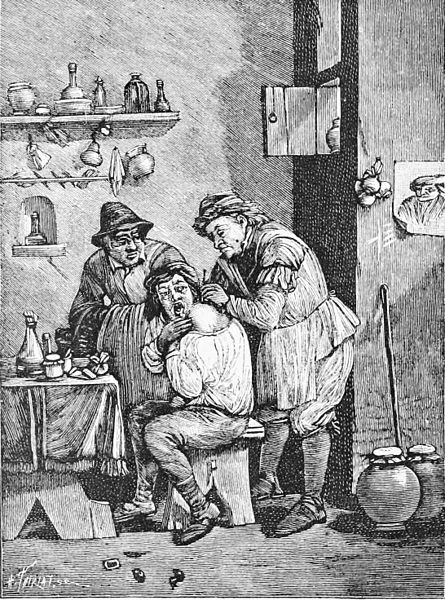 Apothecary General Craigie's shop, Carlisle, was the source of hospital drugs. The camp at Valley Forge was established in December 1777. Perhaps the earliest reliable record of the sick is found in the report under the date December 23, when 2,898 men were reported sick or unfit for duty largely due to the lack of clothing. A return made February 1, 1778 shows the number of incapacitated increased to 3,989, again traced to the need of clothing. In order to understand the difficulties which faced the doctors and surgeons at Valley Forge it is necessary to follow sequentially the conditions in the cantonment as they were unfolded day by day. A careful study of Washington's orders and statements give valuable information concerning health conditions involved. Stressing the need of accuracy concerning the sick Washington required, January 20, 1778: "The regimental surgeions every Wednesday and Saturday are to make returns to the brigadier of all the sick in their respective regts. They or their mates are duly to attend the huts of their men and see that the sick are provided for as well as possible. The surgeons are also to keep a book in which they will enter a copy of every return they give in." January 21, 1778. "The Director Genl. of the Hospitals is as soon as possible to furnish the R'mental surgeons with medicine chests supplied with such medicine as are necessary for the sick in camp." January 29, 1778. "The commanding officer of each brigade is to appoint a Capt'n daily to visit the sick of his brigade in or near camp to examine whether they have proper attention paid to them and are furnished with everything their situation requires as far as circumstances will allow."